The eldest son of Santiago de Cuba's famous La Familia Valera Miranda septet, Kiki is considered by many to be Cuba's greatest living Cuatro player. He is also a multi-instrumentalist (Tres, Guitar, Bass, Keyboards & Percussion), composer, arranger, sound engineer, and producer. After learning the Cuban Tres under the guidance of his legendary father Félix Valera Miranda, Kiki enrolled in the Conservatorio Esteban Salas in Santiago de Cuba when he was 11. By age 15, he was touring internationally. Around that same time, La Familia Valera Miranda was the subject of an investigation by famed musicologist Danilo Orozco. This resulted in an album & documentary on their musical heritage, La Antología Integral de Son, and an invitation to the Smithsonian in Washington, DC. After 25 years of directing La Familia Valera Miranda, international recording artist Kiki Valera is now living in Seattle and working with a new group of talented musicians. Steve is a native of Seattle and long-time admirer of popular Cuban music. He began to study Cuban percussion, music and dance in the mid 70's at Washington State University while earning a degree in Spanish language and literature. Steve has performed in recent years with Son de Cinco a Siete, Los Nietos del Son, Conjunto Meneo, Orchestra Zarabanda, SuperSones, Buena Vibra Sextet, and Clave Gringa. 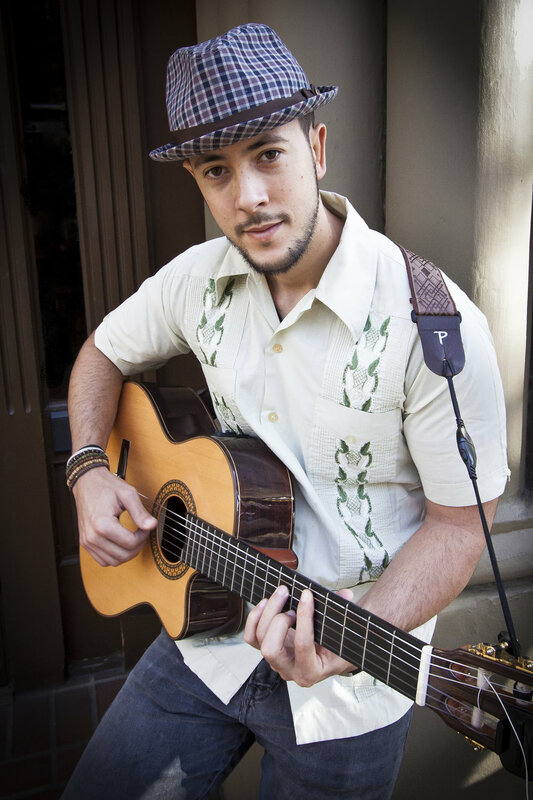 Born in Havana, Cuba, Javier grew up passionate about the sounds and flavor of Caribbean rhythms. In 2004, he immersed himself in the world of Cuban guitar by playing in festivals, theaters, and "Casas de la Cultura" in Havana, where he met and performed with many talented artists of his generation. After relocating to Switzerland in 2011, Javier joined forces with Cuban musicians including Hector Pelaez, the Tresero for Septeto Camagüey, to perform at clubs, festivals and private events. In January 2015, he moved to Seattle where he plays with several local Cuban dance bands including Trío Cubay, Kiki Valera y Cubaché, and SuperSones. Justin began drumming and singing Afro-Cuban music with the Seattle Folkloric Collective in the late 90's. While studying Batá and Conga drumming in Havana and Matanzas in '99, he was introduced to Cuban Son singing by José Antonio 'Maceo' Rodriguez of Grupo Sierra Maestra. In 2001, he co-founded SuperSones - a traditional Cuban septet that has been called "Seattle's very own Buena Vista Social Club." In 2002, Justin researched the roots of Cuban Son in Santiago de Cuba, Guantánamo, and Baracoa. On this and later journeys, he studied voice and Tres with the great master of Cuban Son - Félix Valera Miranda. In 2008, Justin independently released the documentary "Cinco Changüiseros" about Changüí - the Son music of Guantánamo Province. In addition to co-directing SuperSones for the last 15 years, Justin coordinates the group's hands-on educational workshops which bring Cuban and Latin music to students of all ages.